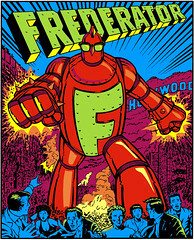 The Frederator Studios Blog: The Teenage Roblog. There is some unbelievably cool stuff going on out there on the internet, and luckily, some of it's happening to Frederator productions. 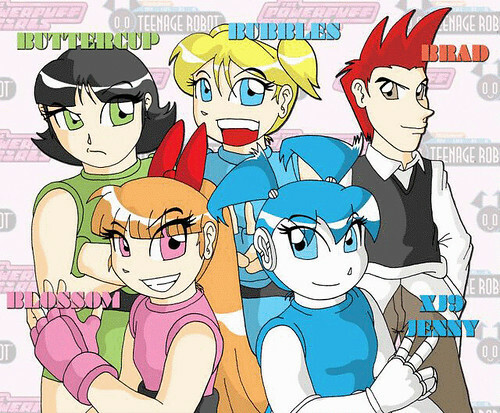 Over at the blog for My Life as a Teenage Robot (aka The Teenage Roblog), webmaster XJWriter has been posting some of the neatest fan art in creation. Today's crossover for The Powerpuff Girls (developed by yours truly back in the day) and MLaaTR particularly caught my eye. MLaaTR creator Rob Renzetti was a prime mover on Craig McCraken's show, so it's particularly satisfying to see the fans loving them both.